Recruitment rule 223: Never, ever return to an employer you have just told that you will be leaving. Here’s the scenario; you get despondent at work and decide to look around for a new job. A firm offer you a role after you have attended interviews, you like the look of the new company, they like the look of you and they make you an offer. You accept the offer, sign the contract and go to speak to your current employer to notify them that you will be leaving, and to ask them to agree a departure date. At this point your current employer turns round and immediately offers you more money to stay or, even worse, undertakes a whole load of emotional blackmail to try to persuade you of the merits of remaining with their business. We have heard of bosses bursting into tears, demanding the employee stays, explaining that if the employee leaves the whole company will go under, warning they will suffer a nervous breakdown. The list goes on. never, ever accept a counter offer from an employer you have just handed in your notice to. There is a very good reason for this, and it all boils down to psychology and human nature. Firstly, do you think that your current employer is going to be nice to you now that they’ve had to offer you more money and have learnt that you tried to leave? I would humbly suggest that in the vast majority of cases the answer is definitely not. They are going to resent you forever. You have betrayed them. Next, do you think that in some way the reasons for you looking for a move in the first place have changed or the issues at work have diminished to such an extent that you want to reverse your decision to leave the business? I would suggest that in over 95% of cases the answer is definitely not. This is why it is a golden rule of recruitment that once you make the decision to leave a firm and a departure is possible, you should never go back to the previous firm, particularly after you have indicated to the previous firm that you will be leaving. Chances are one of the reasons you were thinking of leaving was because your current employer is either a) a psychopath, b) a crook, c) a nasty piece of work or d) just someone you don’t necessarily get on with. How do you think your decision to try to leave is going to affect him or her and their mental state? 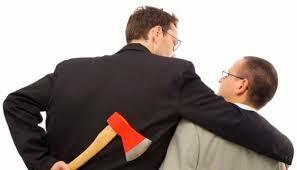 There’s a very high chance that if your boss is an unpleasant person or a psychopath you have just exacerbated all the existing behaviour and made it three times as bad, because not only have you demonstrated disloyalty to them but you have also cost them more money because now they are paying you more to do the same job. So if you thought it was a good idea to try to leave and then an even better idea to go back again to appease your boss by remaining with the company then you are utterly mistaken and totally naive. Things may be pleasant for a short period of time, but as your stay at the firm lengthens we predict you will find the atmosphere to be utterly unpleasant for all concerned. Not only will your boss know that you were trying to leave, and so will a large number of your fellow workers who will no doubt discover this in due course. When they discover that you tried to leave and then came back some of them will be incredulous, others will see it as a betrayal and an act of disloyalty to them and your employers, and others will just be bemused that you are still there and secretly wish that you had managed to go, both because they might not like you and also because they might like to see your boss have to go out and find a new member of staff. So always remember this golden rule of recruitment: never accept a counter offer from an existing employer. It will, in most cases, end in serious amounts of tears. 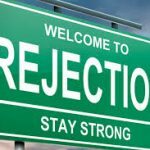 Next Post Don’t tell candidates they have been rejected until you are absolutely sure that you don’t want them.